Dr. Areo is passionate about technology, education, and medicine. He has worked internationally as a medical education consultant and instructional designer, and has led multiple workshops on incorporating technology into medical education. He has also completed a Masters degree in Educational Multimedia. Dr Griffin is the author of more than 150 publications in cardiology and has edited 3 cardiology textbooks. The Manual of Cardiovascular Medicine that he edits is in its 4th edition and has been translated into Chinese, Spanish, Greek and Portuguese and was voted Cardiology Book of the Year in the British Medical Association Book Awards in 2013. He was the US Associate Editor for Heart, the journal of the British Cardiac Society from 2007-13. He received the Stoke’s Medal of the Irish Cardiac Society in 2002 and was the recipient of the Medtronic Award for Medicine, Nursing and Health Sciences from the National University of Ireland Galway in 2011. Dr Griffin graduated in medicine in 1979 from the National University of Ireland Galway. After completing medical training in Galway and Dublin, he trained at Guy’s Hospital, London and at Cedars-Sinai Medical Center, Los Angeles. He was a clinical fellow in cardiology at Boston University Medical Center from 1987-9 and at the Massachusetts General Hospital, Boston from 1989-91. From 1991-93, he was on faculty at Dartmouth Medical School. 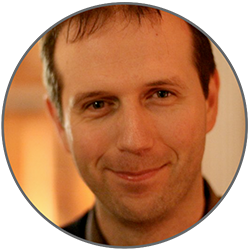 John Breslin is leader of the Unit for Social Software at DERI, the world’s premier Semantic Web research institute. 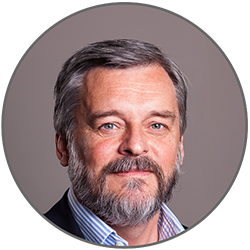 John is best known for being a co-founder and director of boards.ie Ltd., Ireland’s largest discussion website. John has won two IIA Net Visionary awards for his work on boards.ie and spin-off classified ads site adverts.ie. More recently, John co-founded US company StreamGlider Inc. with web entrepreneurs Nova Spivack and Bill McDaniel, a real-time streaming newsreader that can be private-labeled for content publishers on tablets. Paul is a Medical Device entrepreneur. Raised €60+ million of VC funds in UK, US, EU and Ireland. Currently Co-founder and CSO at Novate Medical, a Galway based medical device company developing IVC filter technology and CSO at Veryan Medical, an Imperial College spin-out developing next generation SFA stenting products. He was a co-founder and General Manager of MedNova and was responsible for the development of novel stroke treatment technologies. The Company was acquired by Abbott Laboratories. Prior to his experience in start-up companies he held a number of senior roles in Operations, Development and R&D. He is the holder of more than 30 patents for bio-materials and cardiovascular products. Formerly a Senior Partnership Manager at Apple Inc's Healthcare Technology team responsible for working with Digital Health developers creating mobile healthcare solutions. Liang has been working with and advising mobile health companies since the iPhone was launched in 2007. He previously held roles in digital health strategy in R65 Labs as well as program and project management at Beckman Coulter, Aclara Biosciences and Applied Biosystems.